Struggling on what to be this Halloween? I have always loved the thought of doing something that involved special effects, but was always scared to try. 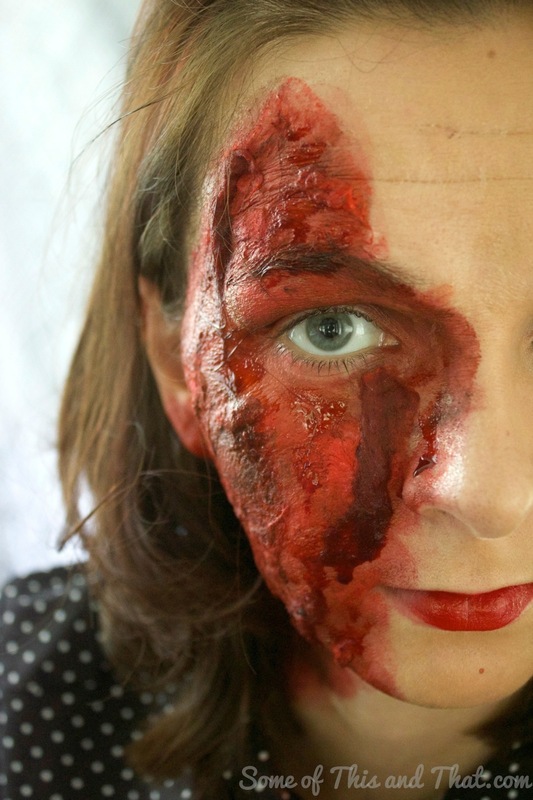 The thought of fake blood and latex kind of scared me. But you know what? It is actually SUPER easy to do! This look took me around 10 minutes from start to finish and was done using easy to find Halloween makeup at my local Drug store! 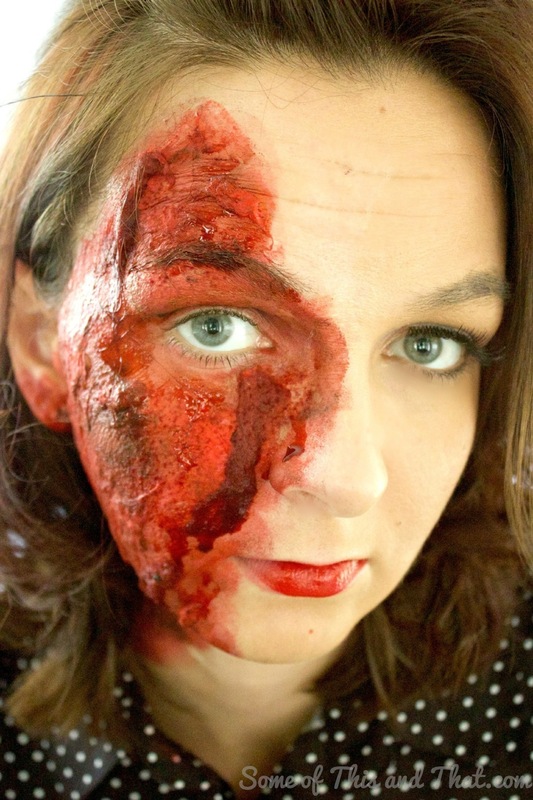 All you need is some black and red face paint, fake blood, latex and a few cotton balls…. Yes, cotton balls. It gives the appearance of burnt flesh and muscle fibers! Want to see how I did it? Check out the short video below! Previous Post: « DIY Halloween Candy Apples! That is horrible and awesome at the same time. Excellent job, it looks so real. Thanks for the tutorial and pic’s. Wow! My kids will love this! Wow great job on this! Looks great!